Today Nikon USA issued an official press release for what I already reported here last week - the Nikon Z6 camera will start shipping this Friday, November 16th. Nikon Z6 pre-order links: Adorama | B&H | Amazon. 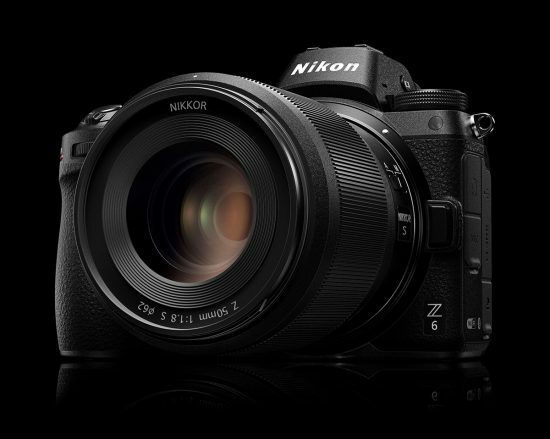 MELVILLE, N.Y., Nov. 14, 2018 /PRNewswire/ — With the holiday season just around the corner, Nikon Inc. is pleased to announce the retail availability of the new Nikon Z 6 camera, which was announced alongside the Nikon Z 7, Mount Adapter FTZ, and the NIKKOR Z 24-70mm f/4 S, 35mm f/1.8 S, and 50mm f/1.8 S lenses in late August of this year. In addition to announcing retail availability for this product, Nikon will be offering an array of, instant savings programs and special discounts for a variety of Nikon products. The Nikon Z 6 offers an incredible value for photographers and content creators, striking the perfect balance of speed, optical performance and powerfully cinematic video features while maintaining the advantages of a lightweight mirrorless design, all at an incredibly compelling price point. The versatile Nikon Z 6 includes a 24.5-megapixel-BSI CMOS sensor, wide ISO sensitivity range of 100–51,200, 12fps continuous shooting at full resolution, 5-axis in-camera vibration reduction technology, crystal clear 3.6m-Dot Quad VGA viewfinder and full-frame 4K UHD video capture with full pixel readout. The Nikon Z 6 will be available nationwide starting this Friday, November 16 for the suggested retail price (SRP) of $2,599.95 with the NIKKOR Z 24-70mm f/4 S lens and $1,999.95 for the body only configuration. Nikon Inc. is also unveiling several new holiday promotions to encourage consumers to share the gift of photography with their friends and loved ones. For consumers in the market for a new mirrorless camera, the Nikon Z system is an ideal entry-point. Now, for a limited time, Nikon Inc. will be offering $100-savings on the Mount Adapter FTZ when purchased alongside the new Nikon Z 7 or Nikon Z 6. Additionally, Nikon will be offering numerous special promotions on the extensive lineup of Nikon DSLR cameras, camera kits and NIKKOR lenses, which are great gift options for those looking to take their photography and video capture to the next level this holiday season. This entry was posted in Deals, Nikon Mirrorless Camera, Nikon Z6 and tagged Black Friday, Nikon Black Friday deals, Nikon Z6 coverage. Bookmark the permalink. Trackbacks are closed, but you can post a comment.